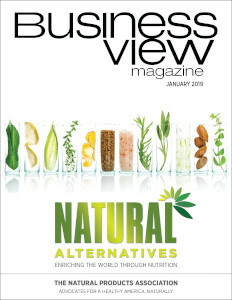 Business View Magazine interviews Mike Shahan, Airport Director at the Scholes International Airport, as part of our series on U.S. regional airports. Galveston was first settled in the early 1800s and once briefly served as the national capital of the independent Republic of Texas before it became a U.S. state in 1845. By the end of the 19th century, before the Great Galveston Hurricane of 1900 nearly destroyed the island, the Port of Galveston had emerged as a prosperous and prominent center of trade for the region. But despite attempts to draw investment to the City after the devastating storm, Galveston never returned to its previous levels of national importance or prosperity. It did reinvent itself, however, in the “Roaring Twenties” as a popular entertainment and (somewhat illegal) gambling destination. The Galveston Municipal Airport first opened in 1931, on airfield land which had been bought by the City. It was built, in part, to help foster the local economy, which was dependent on those entertainment dollars from both the Houston wealthy and the Hollywood elite. In 1938, the Airport was briefly renamed Corrigan Airport, in honor of Galveston native Douglas “Wrong Way” Corrigan, a skilled flyer and aircraft mechanic, who made both history and ignominy, when he flew an authorized transatlantic flight from New York to Ireland, and forever after claimed that he had merely made a 26-hour, “navigational error,” in heavy cloud cover. During World War II, the Airport was re-designated a United States Army Air Corps base and named Galveston Army Air Field. The United States Army Corps of Engineers, using funds made available by Congress through the Civil Aeronautics Authority, constructed three 6,000-foot-long, hard-surface runways to accommodate army aircraft. It was officially deactivated on November 15, 1945, with ownership reverting to the City of Galveston. The existing terminal was completed in 1949 and renamed Scholes Field in honor of Airport Manager and aviation pioneer, Bob Scholes. 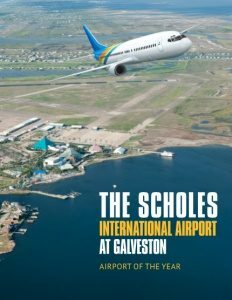 Today, the Scholes International Airport at Galveston, located close to the island’s central business district and many of its most popular tourist attractions, is a city-owned and maintained, general aviation airport that leases hangar and ground space to various tenants. For many years, both before and after WWII, the Airport had many different commercial passenger airlines flying in and out, including the forerunners of Braniff, Southwest, and Continental Airlines, all of which pulled out after the airline industry was deregulated in the late ‘70s. Yet, even with no commercial traffic, the Scholes International Airport has remained self-sufficient over the ensuing years. “The City hasn’t put in any general revenue funds into the Airport for quite a long time,” notes Shahan. 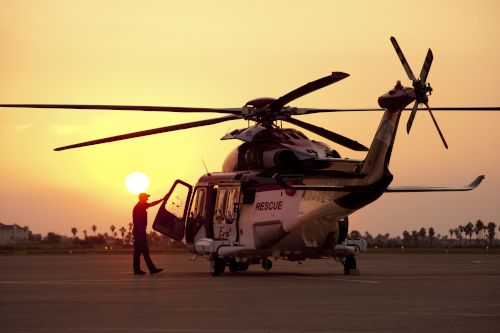 Today it splits its income between the GA population – a combination of vacationers, owners of second homes, and business flyers; helicopters transferring crews and supplies to offshore oil platforms in the Gulf of Mexico; and the many non-aeronautical businesses on its property. 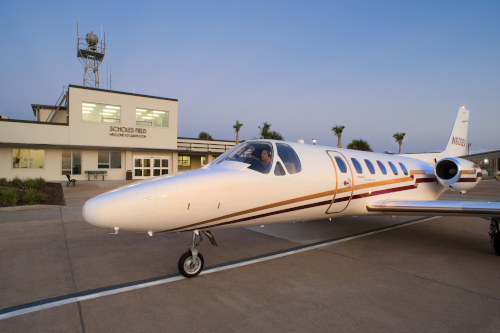 “And for a general aviation airport, we are probably one of a few airports that have as much hospitality businesses as we do, which provides us with a lot of non-aviation producing revenue,” Shahan continues. “Some of the top tourist attractions in Galveston are based here. We have Moody Gardens Hotel and Convention Center – that’s a very big complex that includes an 18-hole golf course. 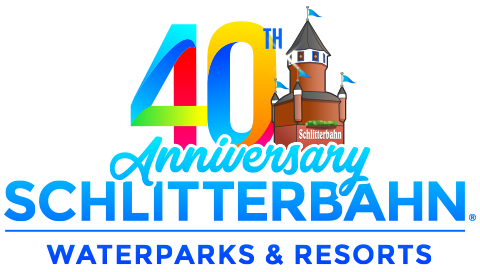 We have Schlitterbahn Waterpark, the Tin Cup Driving Range, and the Inn at the Waterpark. So, about 68 percent of our revenue comes from these non-aviation sources.” Non-aviation businesses affiliated with the Airport property also boost the local economy, generating 1,150 jobs and $89 million in yearly impact. Shahan adds that the Scholes International Airport is open for more aviation business, as well. “We probably have another 10-15 acres for aviation uses,” he reports. 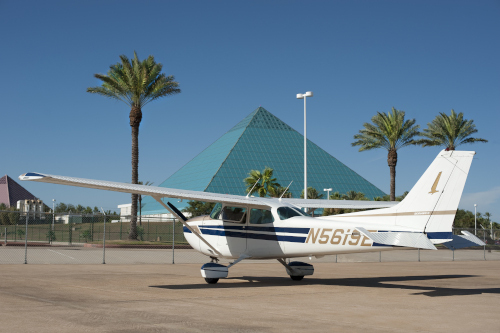 “We’re hoping to attract a flight school, a maintenance shop, an avionics shop, and some more corporate flight departments. We are also trying to get the airport approved so anyone needing to clear U.S. customs can do so, so it’s not just the medical flights. And we certainly have space for hangar development. On the south side of the Airport, where the driving range is, that could also be developed for aviation purposes; that’s about another 25 acres.” Today, aviation activities already account for 361 jobs with a payroll of $15.8 million and an annual economic output of $42.9 million. “We’re also upgrading our facilities,” he continues. “We’re getting ready to remodel and redo the control tower. It was built in 2006 and hasn’t seen much maintenance since then. We’re installing a new roof, new HVAC systems, new wall joint seals, replacing all of the metal framing around the windows to stainless steel and installing new stainless steel handrails, and we’re putting in a new elevator, carpet, and paint. Recently, Scholes International Airport and Airport Director Mike Shahan were recognized as the 2018 General Aviation Reliever Airport of Year by the Texas Department of Transportation. This recognition came as a result of the improvements made to the Airport surface and infrastructure, the overall development and promotion of the Airport, and the vital role it played in providing support for Texas National Guard airlifts and disaster relief in the aftermath of Hurricane Harvey. Check out this handpicked feature on Alexandria International Airport & England Airpark – A historic military airbase transformed. Schlitterbahn Galveston Island Waterpark is a part of the world’s first family of waterparks. Since its inception in 2006, Schlitterbahn Galveston has been the place where memories are made all year round. We are proud partners of Scholes International Airport – where you can see the world’s tallest water coast, MASSIV, from the air! Explore the world’s oceans and rainforests, play an unforgettable round of golf steps from the Gulf of Mexico, and challenge your agility on a ropes course high above a sandy beach. Consistently ranked as a top family attraction in Texas, Moody Gardens features world-class attractions that inspire wonder for nature.